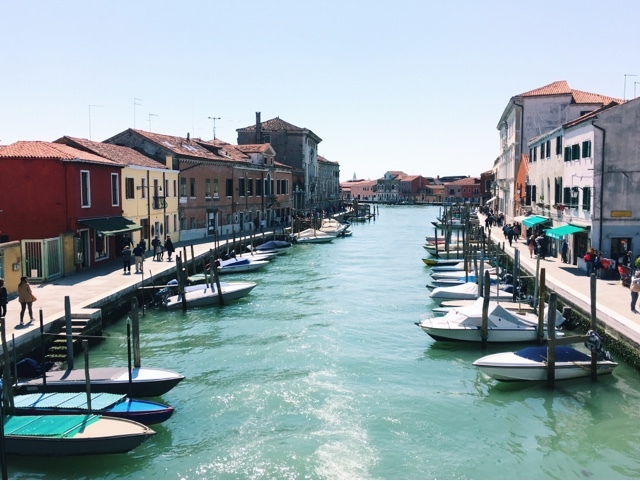 If you are spending more than one day in Venice then I cannot recommend enough hopping on one of the water buses and heading off to explore some of the many beautiful islands. 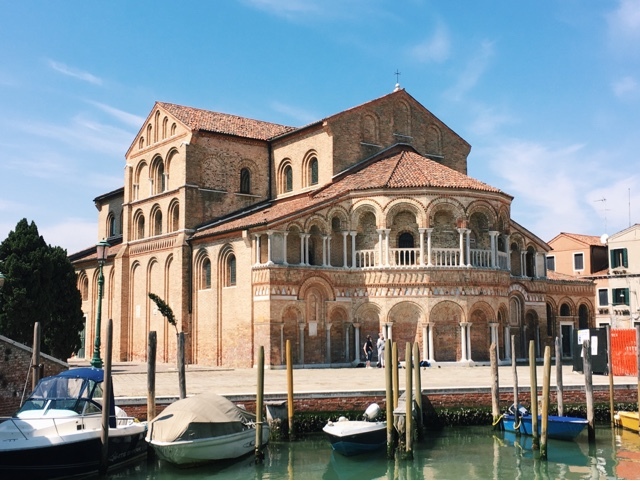 They each have their own little personality and defining feature which separates them from the "mainland" and definitely give you a different perspective on Venetian life. 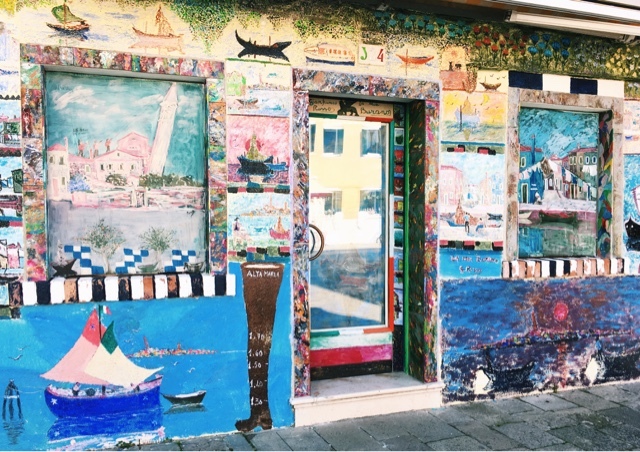 We chose to visit Murano and Burano, based on a variety of photographs and blog posts I had read before we left. Before you set out for the day I would definitely say have a rough plan of timings and make sure you double check how long the journey between them will take! 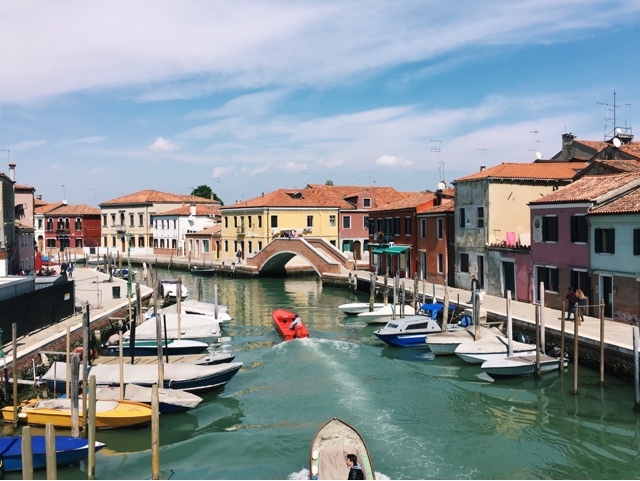 We assumed Burano would be a lot shorter than it was to get to and we ended up not getting home till much later than we had planned. Helpfully though, you can buy a day ticket for all the different water buses, which costs €20. 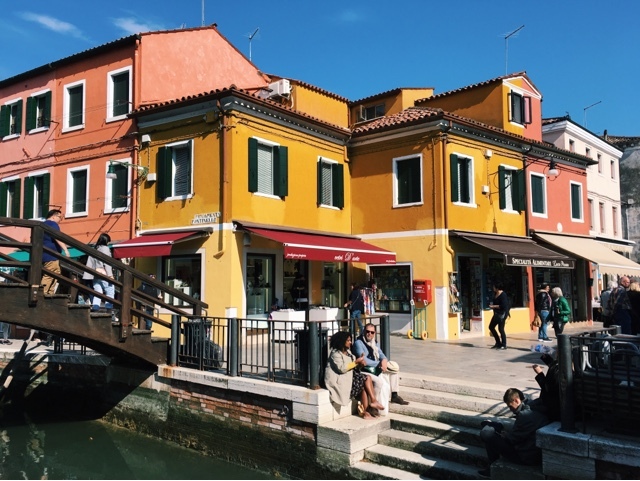 Our first stop was Murano, after seeing Murano glass in almost every single shop on the mainland we thought we would see if we could find out a little more about it. Sadly we didn't end up going in the "factory" that we had heard about, however I am still not 100% sure what this factory is. There was a glass museum that we decided not to go in so maybe it was that. Our eyes became almost as glazed as the glass after our hundredth Murano glass shop of the day (ha funny right. mild exaggeration but it honestly is everywhere) and we decided to stop somewhere for lunch. After walking around for what felt like forever trying to find a menu that had more than just a couple of options we stumbled across an absolute gem! 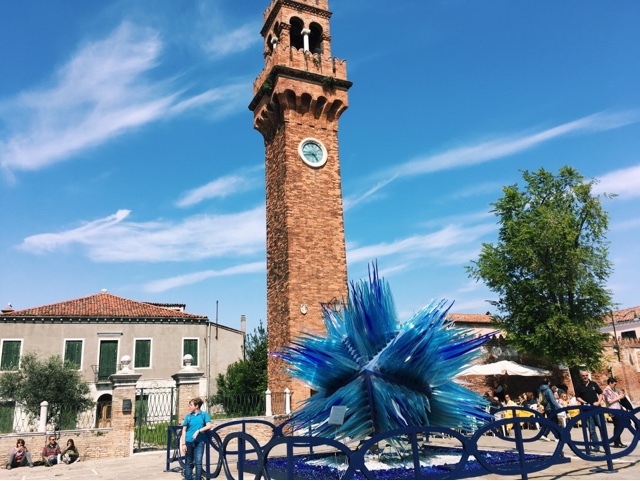 Busa Alla Torre was situated just beside the large clock tower which you can see in the picture above beside the beautiful blue Murano glass sculpture. It was created as a "Christmas decoration" a few years ago and it's pretty unbelievable the whole thing is made from glass. But back to the food. Oh my goodness it was delicious. I had a prawn and mushroom pasta (and I can't remember the type of noodles because I was so excited I just ate it all in one mouthful). Our waiters were so friendly and even posed for a picture with us and gave us all the banter. Can highly recommend this place if you are in Murano and feeling a bit peckish. My friend Louise had been craving salmon pasta all morning and they specifically made it especially for her. An extra point if you are looking to buy some of the famous Murano glass! Make sure you get the little certificate of authenticity when you buy it to prove it is real. The prices on the island were much the same as those on mainland Venice however the risk of fakes is obviously higher off the island. 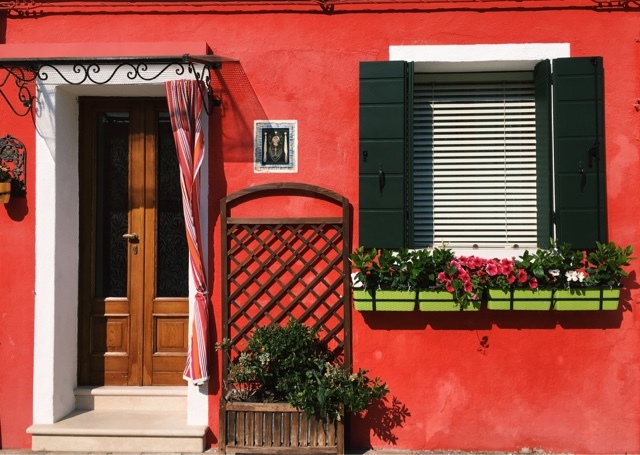 If Murano is famous for glass, Burano is famous for lace, and truly beautiful lace at that. Everything from earrings made out of lace, to full on gorgeous tablecloths or dresses, some of the shops felt very romantic and peaceful away from the bustle of the streets. 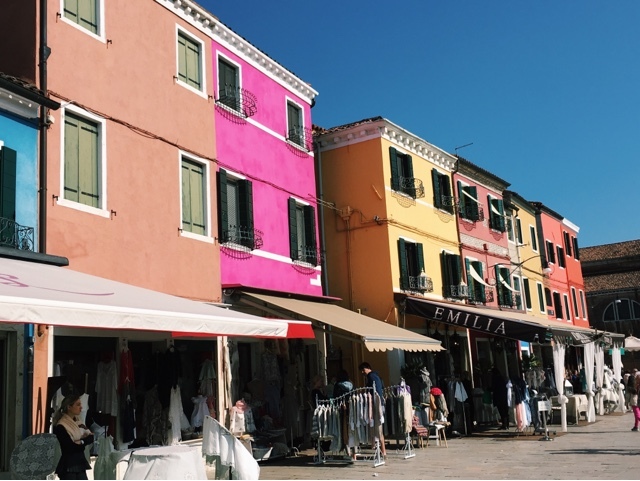 The only sad part about our time in Burano was that we found the service in the café we stopped at to be extremely unhelpful and the prices extortionate after a service charge was plonked on our table without any prior warning. We were aware that service charges for tables exist, however not to advertise that anywhere is wrong. We ended up paying 12 euros for two small coffees and a slice of cake and considering on mainland Venice a cappuccino can easily be found for around 1,50 I was not best impressed. I wish I could remember the name of the café but I can't, however from now on I would always ask if there is going to be a service charge for the table and make sure you see the prices on a menu before you order! 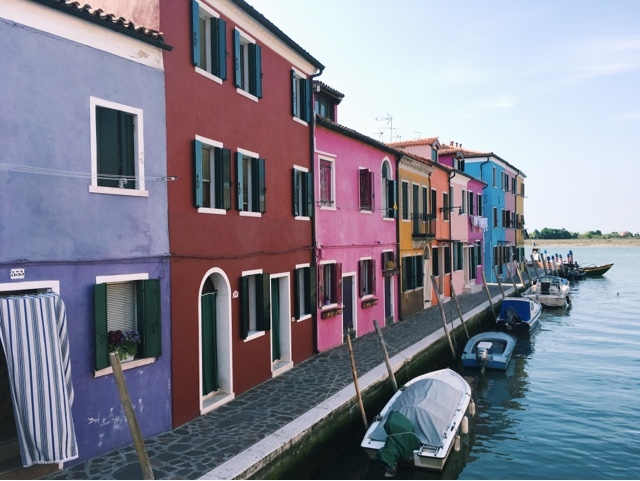 Do you think you would like to go to Murano or Burano? Let me know in the comments! Definitely worth it if you are in Venice for more than a day. 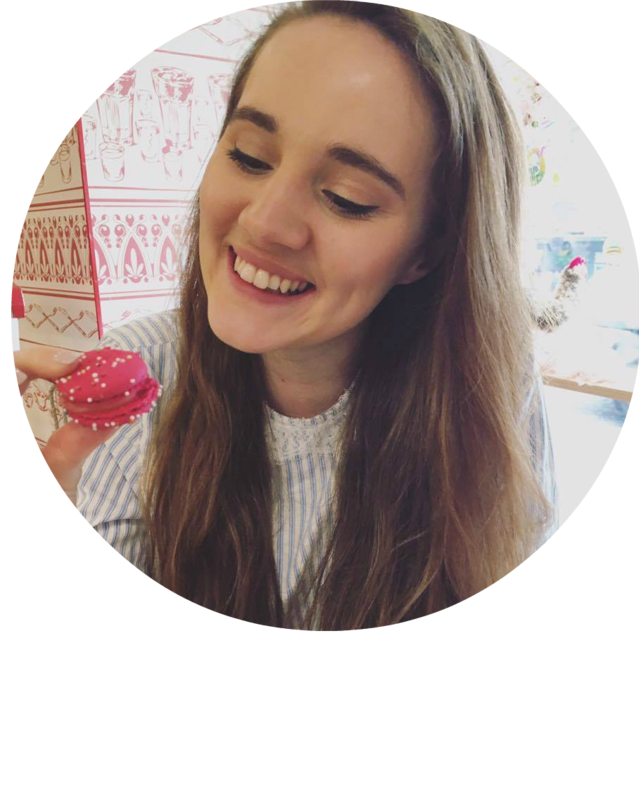 I'm actually thinking of writing a guide to 48 or 24 hours in Venice so keep your eyes peeled for that in the next few weeks! Hope you are all having a great day!